Let your website “lay in the bushes” while you poke around the internet to learn about your market and your competitors. There are a number of tools you can use to accomplish this task, but you must take the time to accomplish this step. If you don’t have the time, then an outside consultant like Digital Business Services can help. 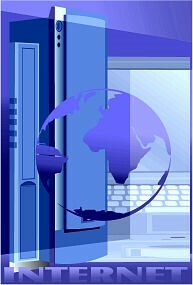 The internet is a worldwide “bank” with millions of depositors. When you understand what they want, how much they are willing to spend and how to find you, you’ll reap the financial rewards you are looking for today. But the internet has rules, break them and that door will close to your company’s site and be very difficult to re-open. Digital Business Services can help you understand those rules, but for now, let’s go through some of the steps and tools you’ll need to get a vision of your market and competition. WordTracker: http://www.wordtracker.com/ – very popular, especially with ecommerce site owners. You will pay for the service, however, so get your credit card out. OK, so now you can get an idea of how much traffic your product search terms will generate (or not). Update your website now. Not tomorrow or the next day. Contact us at 252-367-7673 or email Casey Turton for a no-cost conversation about minimizing your risks and maximizing your rewards.